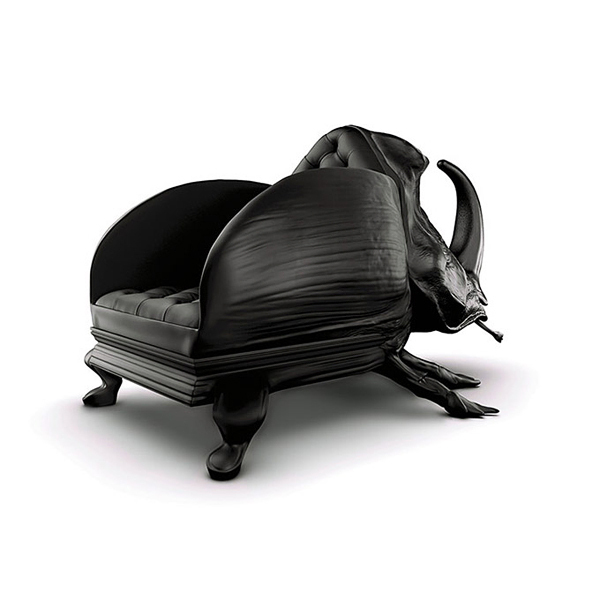 Spanish designer Maximo Riera didn’t stop his stunning Animal Chair Collection and right after Whale Chair and Elephant Chair has added to it another two pieces: Toad Sofa and Beetle Chair. 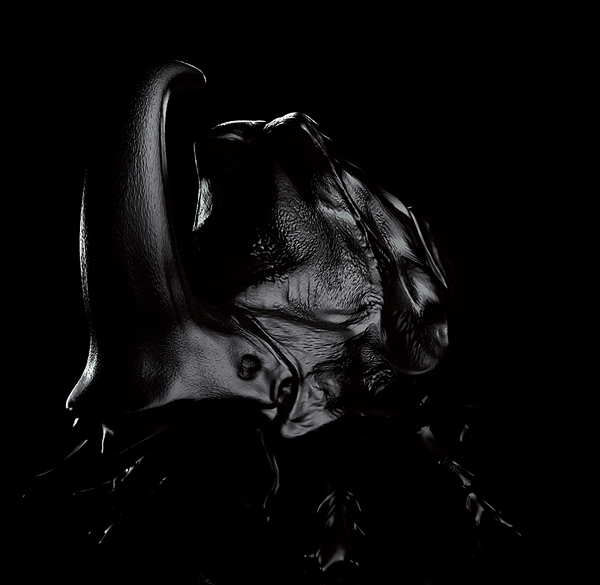 Both were created in the same style: black and shiny, like they crawling from an oil spill. 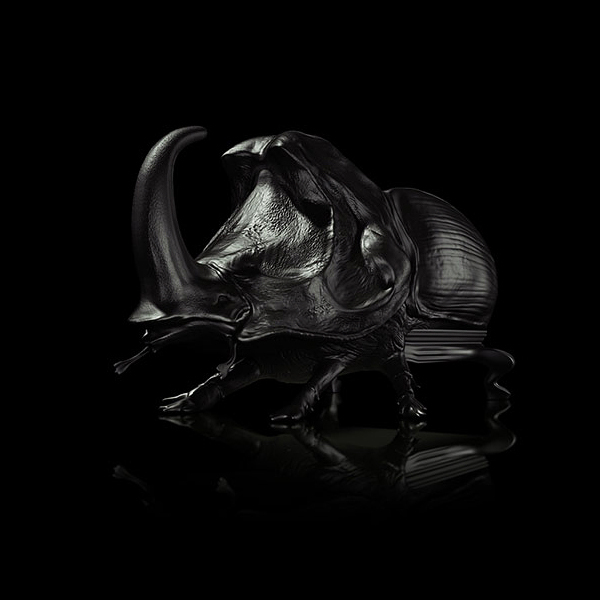 Each of the spanish creative’s work is manufactured to order, taking an average of 11 weeks to produce. Each chair requires 170 hours of machine operation and 160 hours of workman as it is assembled, sanded and painted by hand, making them all unique. The “Toad sofa” resembles the common species of the tailless amphibian that inhabits the European and north African continents. Emerging from hibernation as an oversized piece, it constitutes the first two-seater of Riera’s Animal Chair Collection. The development of this particular piece required using the back part of the animal to form the seating object – a headless representation of the animal – making it easier to establish an emotional connection with the viewer. Within the front section, the artist has opted for a minimalist baroque style, where the smooth and simple surfaces offer a firm contrast with the irregular bumps of its leathery skin. This feature, which helps the animal visually blend into its environments by breaking up its outline. 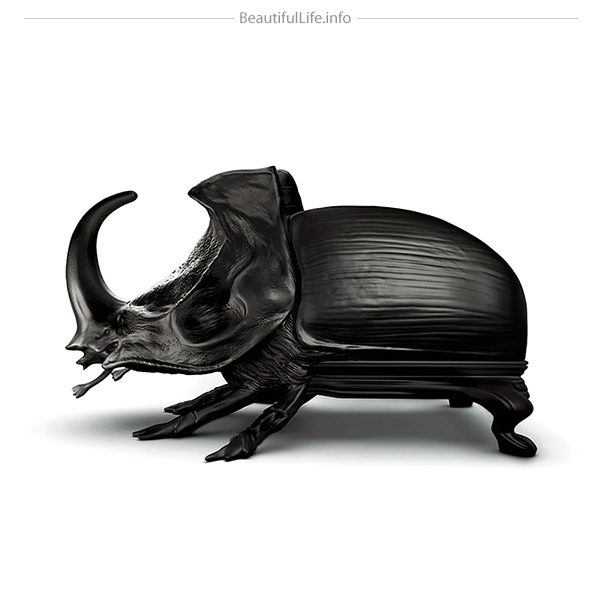 “The Beetle Chair” is his last creation and features one of the largest insects of its kind and it features a distinctive curved horn that is used to fight other males during mating season and as a tool for digging. They are the strongest land animal in relation to their size, capable of lifting over a hundred times its own weight. influenced by this concept, the chair’s proportions have been increased in the same order of magnitude. The seat section is located within the outer shell covering the wings that from the skeleton and protect the animal. 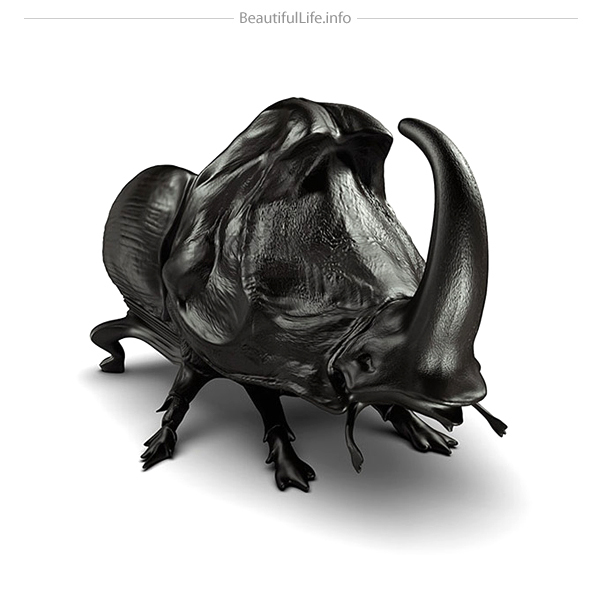 By adapting the beetle’s morphology into a functional aesthetic it allows the composition of the skeleton to be seen without any interruptions.